This private tour begins at the entrance of Turtle Bay Resort, where you will be greeted by our chauffeur and driven to Pearl Harbor. As you drive to Pearl Harbor from the North Shore, your guide will share information about the history of Pearl Harbor and the fateful attack on December 7, 1941. Upon arrival at Pearl Harbor, your guide will accompany you to the Visitors Center. After a brief orientation you will have your Arizona Memorial tickets in hand and begin your experience at the World War Two Valor in the Pacific National Monument. This tour includes tickets to the USS Arizona Memorial, including the 23-minute film about the Pearl Harbor attack and the US Navy boat to the Memorial. First, check out the exhibits and artifacts at the Pearl Harbor Visitor Center, setting the scene, vividly depicting the events of December 1941. Then, watch the impressive film about the attack. A visit to the serene Arizona Memorial will definitely make your Hawaiian vacation more meaningful and memorable. The most visited attraction in Pearl Harbor, the USS Arizona Memorial floats above the sunken remains of the ship and serves as a reminder of the sacrifices of thousands of service members during the 1941 Japanese attack. The solemnity of the memorial gives you a moment to honor the heroes of Pearl Harbor and reflect on the importance of their sacrifices. 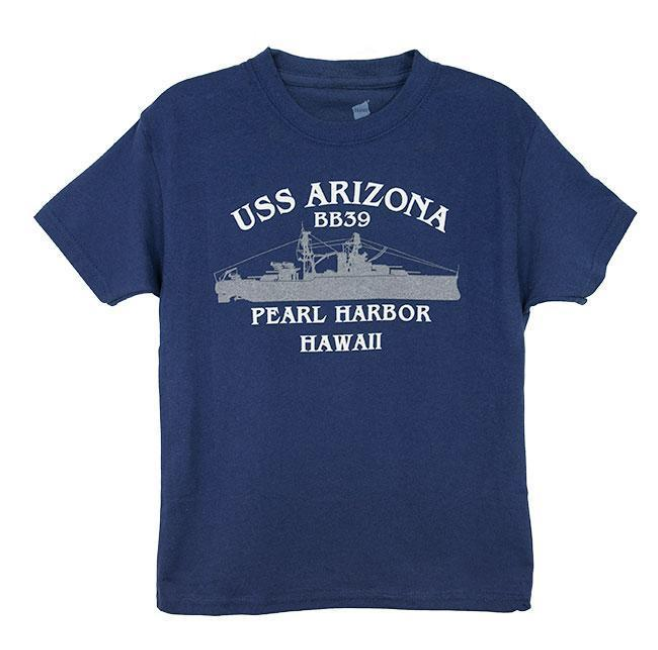 After your visit to the Arizona Memorial, you will visit one of three other historic sites at Pearl Harbor. 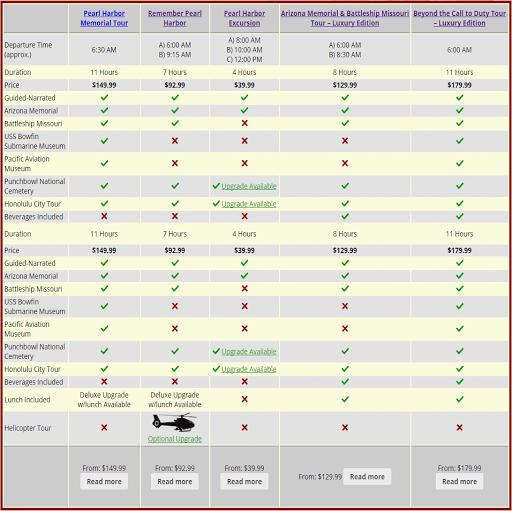 Choose between the Bowfin submarine, Battleship Missouri, or the Pacific Aviation Museum. The most popular is the Battleship Missouri, affectionately nicknamed “Mighty Mo.” Board the battleship to see her massive guns and the surrender deck where WWII ended. A guided tour is included. Alternatively, explore the Bowfin submarine or the Pacific Aviation Museum. The choice is yours. A light lunch is available for purchase. Snacks can be purchased at all Pearl Harbor sites. After a memorable day filled with fascinating historic sites and stories we will return you to Turtle Bay. This is a must-do when visiting Oahu. We really enjoyed the monument. The area was very educational and we learned several new things. It is an event, and a war, that transcends generations and still has an impact socially, economically, and diplomatically today. I feel it is very worthwhile for any traveler, regardless of their nationality or history, to visit and soak in this experience to understand truly how devastating events during this war were, and how far we’ve come in the time since. Pearl Harbor is a must see when visiting Honolulu. Of course we have to re-live history (WWII) when we are given a chance to do so through memorials like this. We just returned to our hotel and I’m still in awe of all that I experienced today! The museums are amazing with lots of information. Then, it was time for the USS Arizona tour which began with a somber but factual movie of the attack on Pearl Harbor. Then we took the short boat ride to the memorial. Very somber but very proud of those brave men that are still buried in the sea. Pearl harbour is a walk down memory lane. Not one of joy but one of respect, hope and thanks to those men and women who lost their lives their nearly 75 years ago today. May they rest in peace for eternity yet continue to serve humanity as a reminder of the horrors of war. Our brave men and women who fought not only in the conflict started at pearl harbour but before and after should never go one day without realising the gratitude, respect and deep hearted thanks we should have for them all. I found the history of the Missouri very interesting. There are lots of stairs and you can get pretty hot on the deck, so take a bottle of water with you. You can refill it on the battleship. Very well done! Walking in to the memorial made this historical tragedy real to me in a way that was unexpected. This has some neat things in it. It is almost like a lingering sense of desolation and mourning can still touch those who visit. Not a very big sight but still if you want to see history I would recommend it. There was a lot to see, learn, and explore. The movies were amazing. Exploring the sub and ship were fascinating and informative. My dad taught history, and this was a great experience way beyond the classroom fare. This tour is definitely a must see if you visit Hawaii. I would recommend a visit to pay your respects to this awesome place. We had the best tour guide we have ever encountered in all of our travels. Jeannie was excellant in all ways..knowledgeable, paitient and relaxed, funny, and made the whole bus come together as a “family”. My husband and I have visited Pearl Harbor several times. To us it is the Arizona Memorial, is the most moving place that you can visit. You can not help to be proud of our country and those who have given their lives for our freedom. So happy that they came way out to Turtle Bay to pick us up!